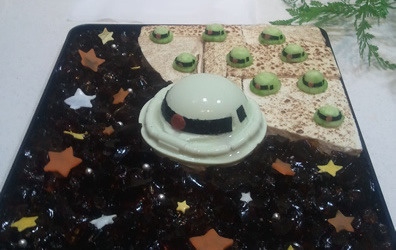 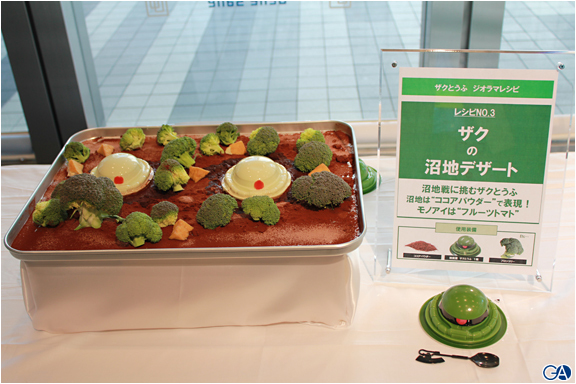 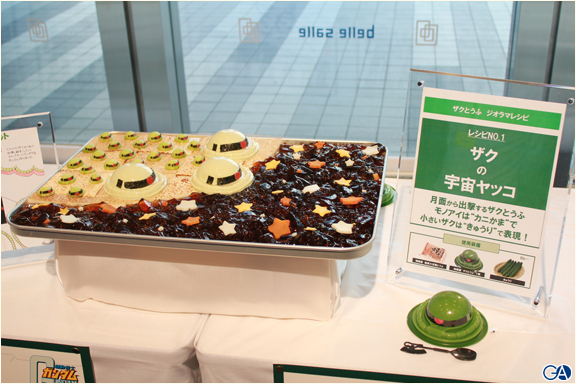 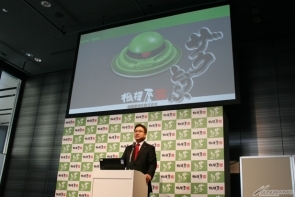 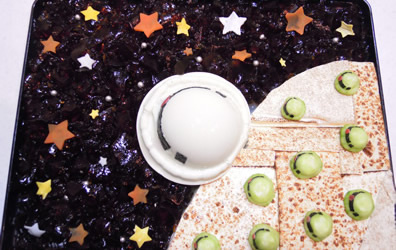 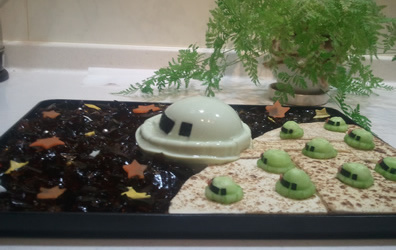 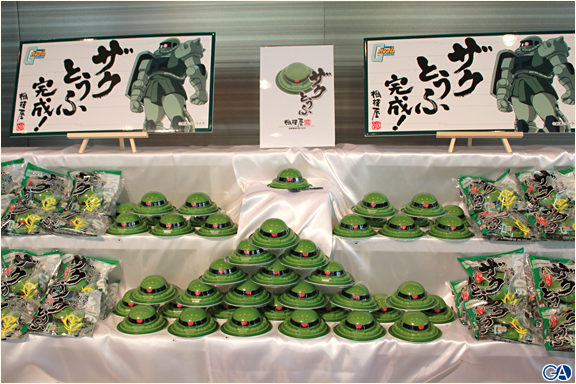 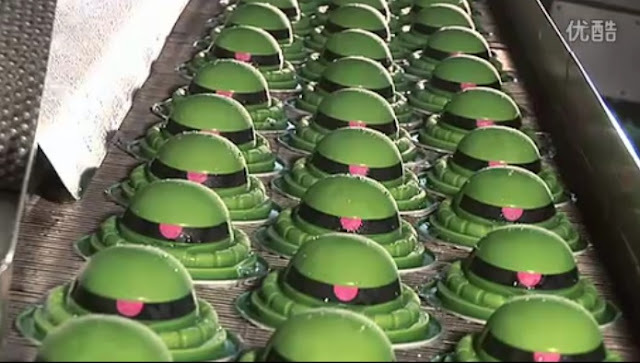 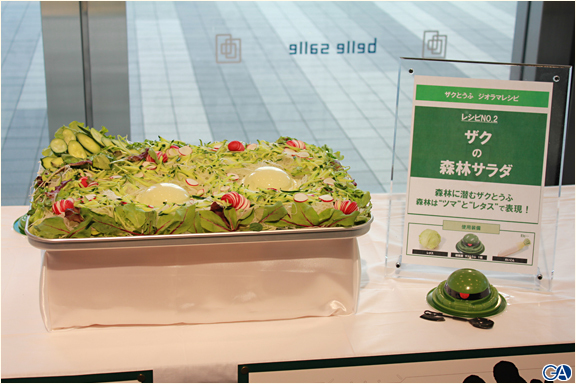 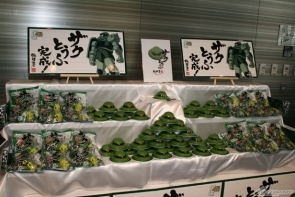 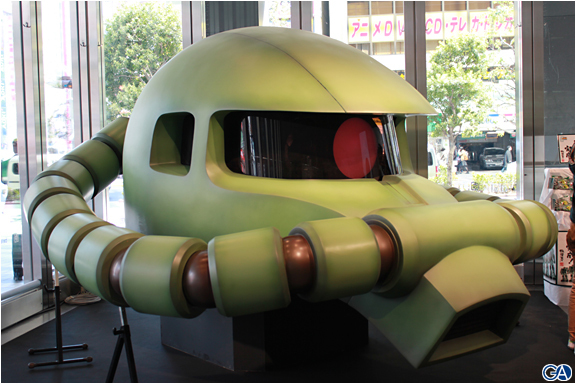 On Wednesday, Sagamiya Foods will begin selling a tofu treat shaped like the head of the Zaku, the enemy grunt mobile suit from the classic robot anime Mobile Suit Gundam. 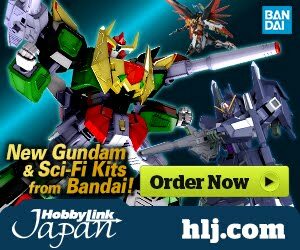 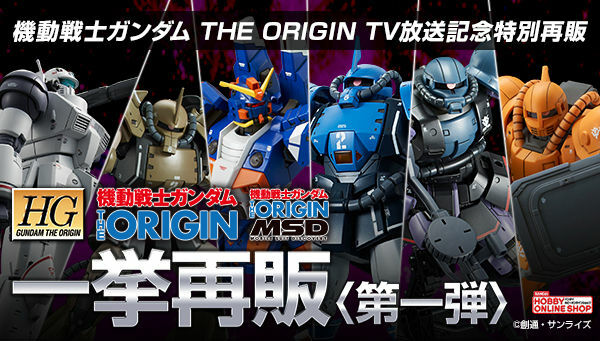 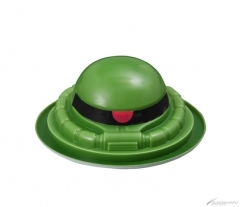 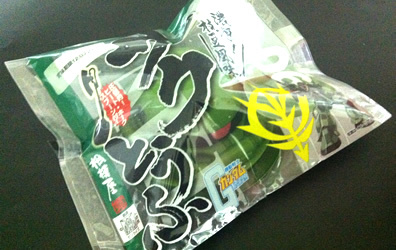 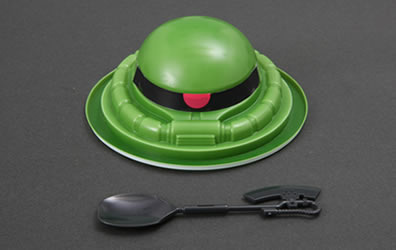 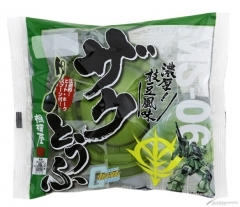 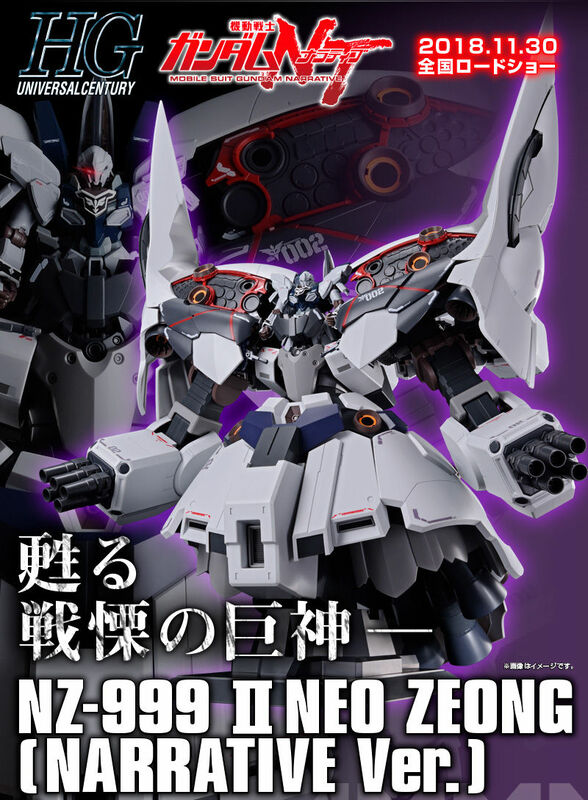 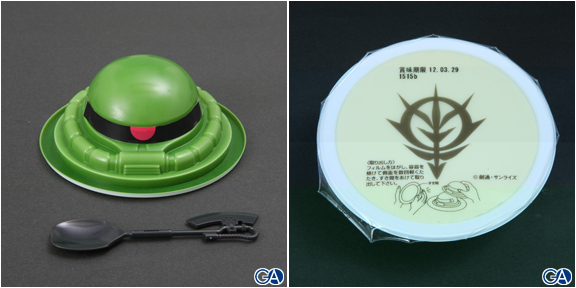 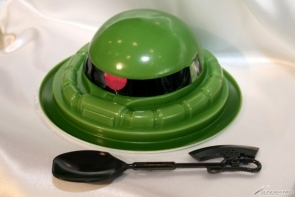 The MS-06 Zaku Tofu is made with green soybeans, and limited quantities will even come with a spoon shaped like the Zaku's signature heat hawk (tomahawk) weapon. 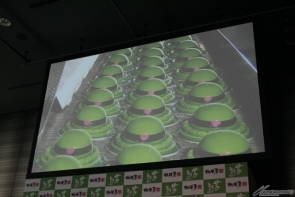 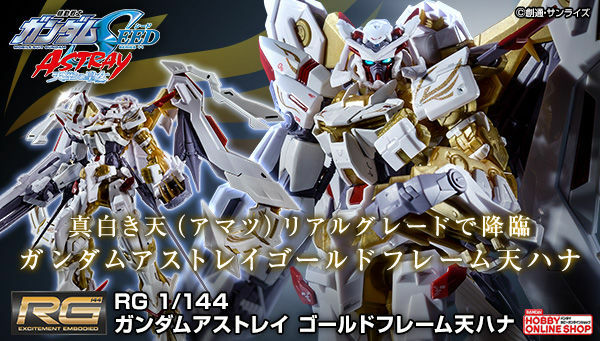 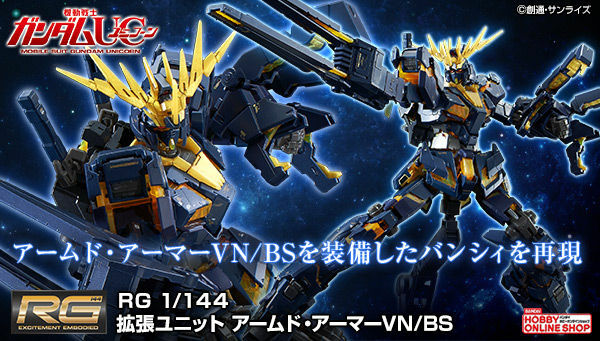 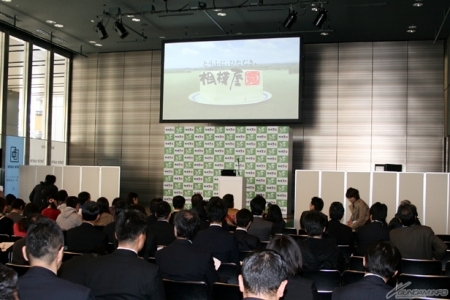 Shuuichi Ikeda, the original voice of the first Gundam anime's antagonist Char Aznable, appeared at the announcement event for the tofu on Tuesday. 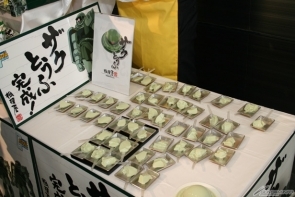 Upon trying the treat, he proclaimed that he was pleased with it and added that he would like to try it with sake.